The Ministry of Economy, Trade and Industry (METI) has prepared a PR video titled "The Next Step - Towards Fukushima's Future, Together" and preleased it on YouTube METI-Channel on March 1, 2018. The video aims to convey to the public the current situation of reconstruction of Fukushima Prefecture, devastated by the Great East Japan Earthquake and the accident at the TEPCO Fukushima Daiichi Nuclear Power Station, in particular, concerning 12 municipalities severely devastated, namely Iidate Village, Okuma Town, Katsurao Village, Kawauchi Village, Kawamata Town, Tamura City, Tomioka Town, Namie Town, Naraha Town, Hirono Town, Futaba Town, and Minamisoma City. The Ministry of Economy, Trade and Industry (METI) has produced a short video clip on the current situation in Fukushima, in collaboration with the Support Team for Residents Affected by Nuclear Incidents under the Nuclear Emergency Response Headquarters under the Cabinet Office. 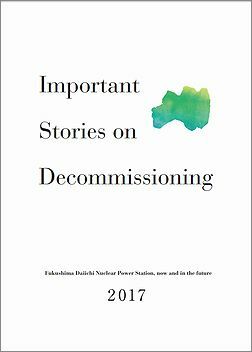 This video provides an easy-to-understand look into life in Fukushima today from a variety of perspectives, including the current status of the Fukushima Daiichi Nuclear Power Station and the progress of various measures toward decommissioning, the improvements in the work environment at the actual decommissioning sites, the aid for residents affected by the nuclear incident and measures for securing food safety. 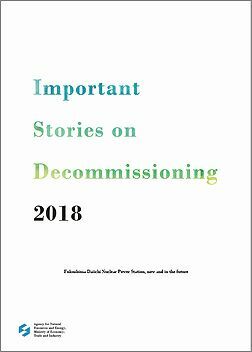 METI has prepared a reader-friendly brochure to explain the current state of TEPCO's Fukushima Daiichi Nuclear Power Station and the decommissioning efforts thereof. Decontamination of contaminated water usingmulti-nuclide removal equipment, etc. 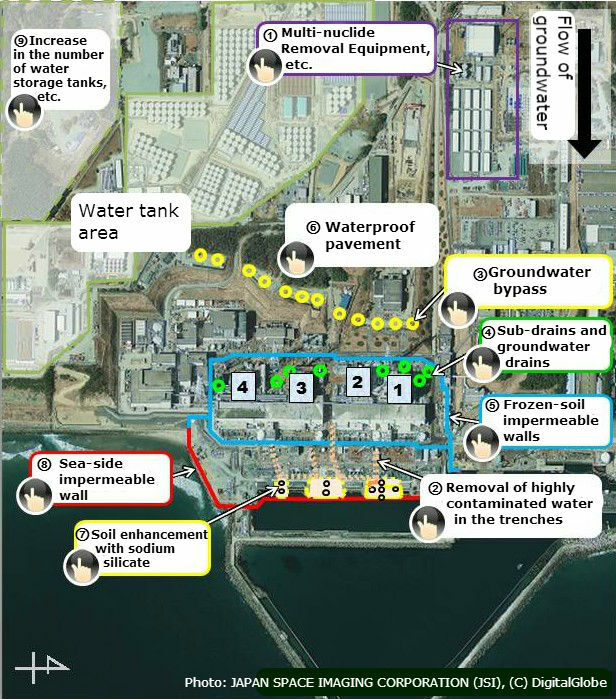 (equipment for removing radionuclides from contaminated water) In operation The decontamination process is completed by the end of May 2015, except for the water contaminated during the initial period of the accident itself. Removal of highly contaminated water in theunderground tunnels (trenches) on the sea side of the building Completed Removal of the highly contaminated water from the trenches and filling the trenches with filling material were completed in August 2015. Pumping from the well on the land-side of the building into the sea (groundwater bypassing system) Completed / In operation Drainage started in late May 2014. Pumping of ground water fromwells around buildings (sub-drains) and draining of the water to the sea after decontamination Completed / In operation Drainage of water started on September 14, 2015. Installation ofland-side impermeable frozen walls In operation Freezing operation started in March 2016. Waterproof pavement to prevent groundwater inflow Ongoing Paving of the FY2015 target areas, accounting for 90% of the planned site, completed as scheduled. In operation Completed in the middle of July 2014. Their efficacy was proved when a typhoon struck in the autumn of 2014. 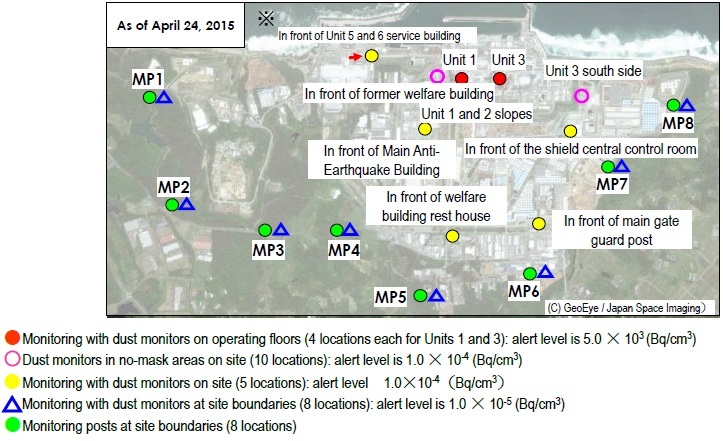 In operation Completed in March 2014. Installation ofsea-side impermeable walls Completed Sea-side impermeable walls were completed in October 2015. Increase the number of tanks In operation (under further maintenance) 800,000 tons of tank capacity was secured during FY 2014, two years earlier than the time projected in the previous Mid- and Long-Term Roadmap. 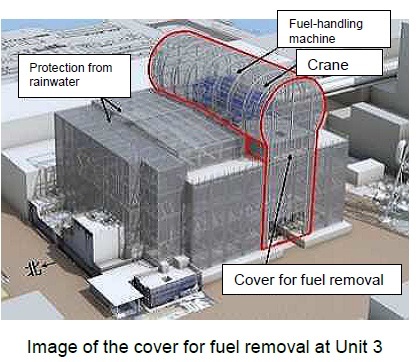 Concerning the Unit 4 SFP, which was said to have the highest risk among all SFPs at the Fukushima Daiichi Nuclear Power Station, the transfer of 1535 fuel rods from the SFP (including 204 unused fuel rods) to facilities such as the common pool within the power station site* was completed. 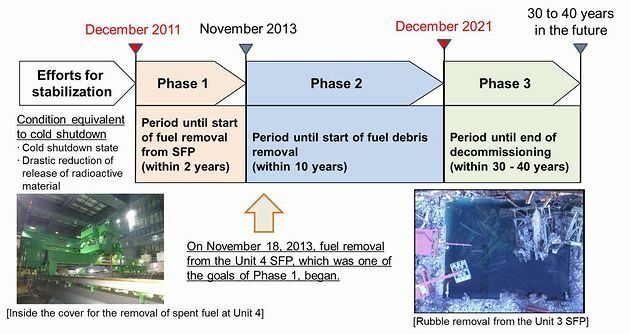 The fuel removal began on November 18, 2013. The transfer of high-risk spent fuel was completed on November 5, 2014. The transfer of all spent fuel was completed on December 22, 2014. Concerning the Unit 1 R/B, it is necessary to remove the rubble that has accumulated in the upper portion of the Unit 1 R/B, in order to remove the fuel in the SFP. Therefore, currently, the R/B cover is being dismantled. The R/B cover will be steadily dismantled, with anti-scattering measures such as the spraying of anti-scattering agents fully implemented and radioactive materials monitored. 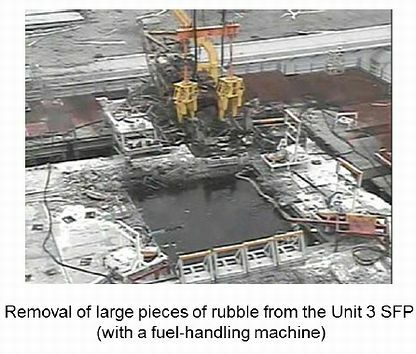 Concerning the Unit 3 R/B, the removal of rubble that fell into the SFP is proceeding before removing the fuel in the SFP. On August 2, 2015, the removal of the largest pieces of rubble that had been present in the SFP (with a fuel-handling machine) was completed. 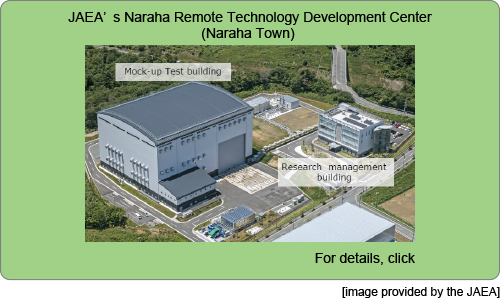 Putting the highest priority on the improvement of safety at the time of construction work and the reduction of the exposure for workers, a portion of the cover for fuel removal used for removing fuel rods was assembled in Onahama, Iwaki City, which is located around 60 km away from the Fukushima Daiichi Nuclear Power Station. After removal of the rubble is completed, the cover for fuel removal is to be carried in, and a fuel-handling machine is to be installed. To see detailed information for each technology, click the boxes. Q1: Please explain the impact of the leaked radioactive materials on the sea. Q2: Radioactive materials are sometimes detected and sometimes not detectable. What kind of analysis method is adopted? Q3: Is there any difficulty because of “frozen soil impermeable walls” that have not been frozen yet? Q4: TEPCO has reported that the water decontamination work has been delayed. Is it true that the decontamination equipment is continuing to have some troubles? Q5: Recently, there have been many serious accidents involving workers. How will these accidents affect the future work schedule? Q6: Is there any possibility that the contaminated water will penetrate into deeper layers (permeable layers) due to the presence of deep wells? Q7. 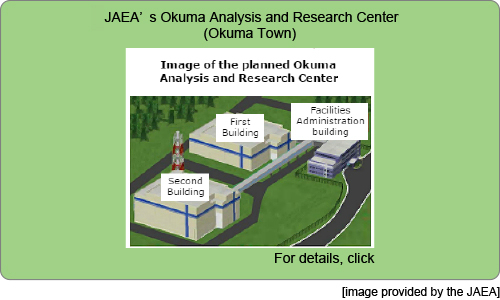 Does the International Atomic Energy Agency (IAEA) require Japan to discharge ALPS-treated water containing tritium into the sea?